14 What good is it, my brothers, if someone says he has faith but does not have works? Can that faith save him? 15 If a brother or sister is poorly clothed and lacking in daily food, 16 and one of you says to them, “Go in peace, be warmed and filled,” without giving them the things needed for the body, what good [b] is that? 17 So also faith by itself, if it does not have works, is dead. I was trying to increase my faith relationship with God, but my works or actions were not aligned with His Plan. 24 Do you not know that in a race all the runners run, but only one receives the prize? So run that you may obtain it. 25 Every athlete exercises self-control in all things. They do it to receive a perishable wreath, but we an imperishable. 26 So I do not run aimlessly; I do not box as one beating the air. 27 But I discipline my body and keep it under control,[b] lest after preaching to others I myself should be disqualified. Unlike my younger self, I have found purposeful intention in my faith and my actions. 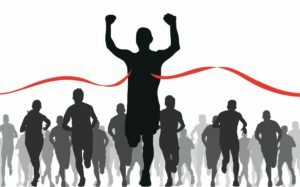 I am continually seeking to win the race and obtain the goal. I am no longer aimless in my fight or run. I have driven focus and dedicated purpose to win and not be slothful in my prayers, aspirations, relationships, and connection with God. My prayer is for us a community to become more intentional with our desire and relationship with God.